Today Kristine Carlson Asselin revealed the cover of her debut YA novel, Any Way You Slice It, about Penelope Spaulding, who uses hockey as a great escape from her parents’ restaurant. As her confidence on the ice and her commitment to the Rink Rats and someone named Jake Gomes grows, she finds it harder and harder to keep her passion a secret from her parents, who have other plans for her. To read more about this book, go to the blog Sporty Girl Books, which smartly highlights MG and YA books about girls who have a passion for sports. This blog is a fantastic resource for anyone who wants to be more than a spectator to life. Kristine is an SCBWI New England organizer extraordinaire and author of many non-fiction books for teens. 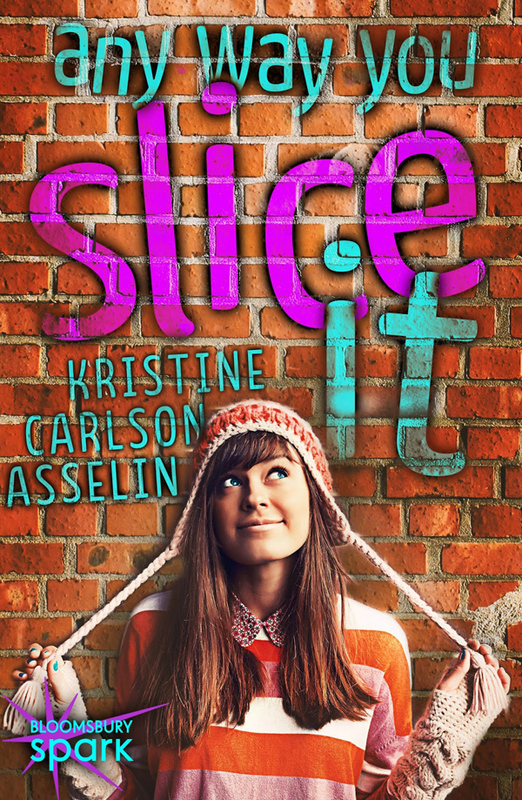 Any Way You Slice It will be released by Bloomsbury Spark on April 7, 2015. This entry was posted in children's books, e-books, Writing today and tagged book art, children's books, YA fiction. Bookmark the permalink. Post a comment or leave a trackback: Trackback URL.